The Honda CR-V is a popular choice for West Islip drivers, and with these great models from Babylon Honda, it’s more trendy than ever to drive this sporty and versatile compact crossover home today. 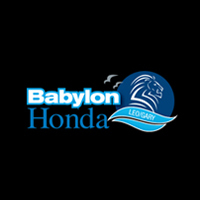 Drivers from Lindenhurst and Bay Shore can enjoy all of these exciting features at a price that won’t break the bank by getting a new CR-V at Babylon Honda. Be sure to explore the differences between the Honda CR-V LX vs EX and the Honda CR-V dimensions to learn more. You can also compare the CR-V to the Subaru Outback to see how it stands out against the competition!